A happy shopper in the greenhouse. 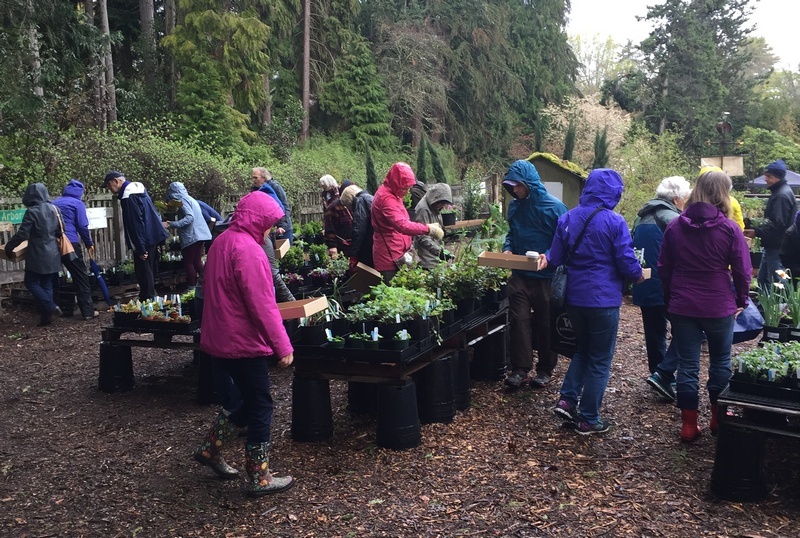 Despite on-and-off-again rain, more than 700 people attended our Spring Plant Sale (formerly “Early Bloomers”) on Saturday, April 6—a record for this event. They helped us raise over $10,000 in support of the Arboretum. 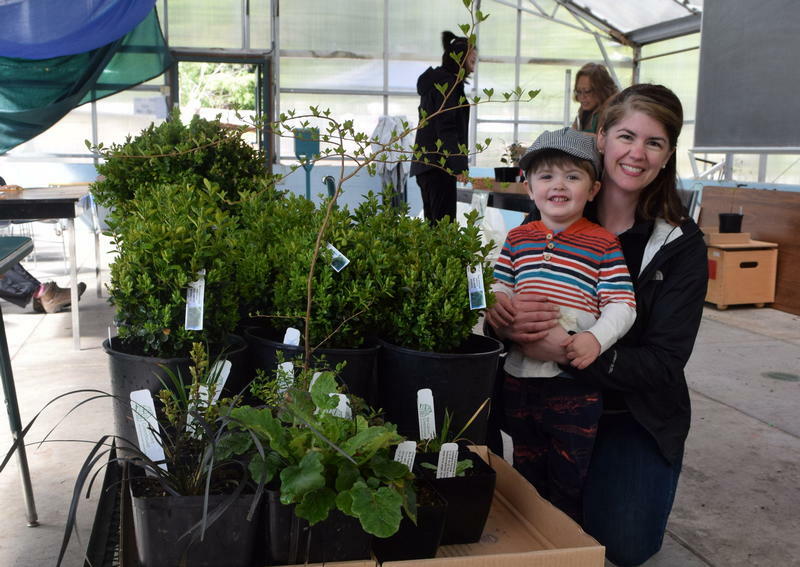 Our Plant Donations Nursery and Pat Calvert Greenhouse sold more than 1600 plants altogether, plus generous shoppers made over 200 additional donations totaling $828 at the register. We also signed up four new Foundation members at our membership table, which was offering free boxwood plants as an incentive. 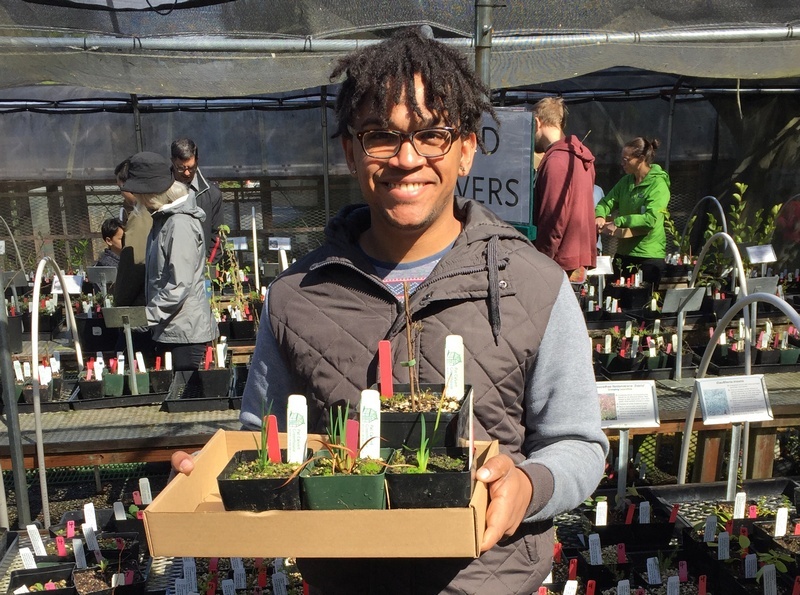 Our event partner, Urban Earth Nursery, also had a good day, nearly selling out of their inventory of indoor plants. Thanks to everyone who came to the sale! A special thanks to our amazing volunteers, who host this lively fundraiser and community-building event each year. Morning rain didn’t keep the crowds away. An event for green thumbs of all ages.